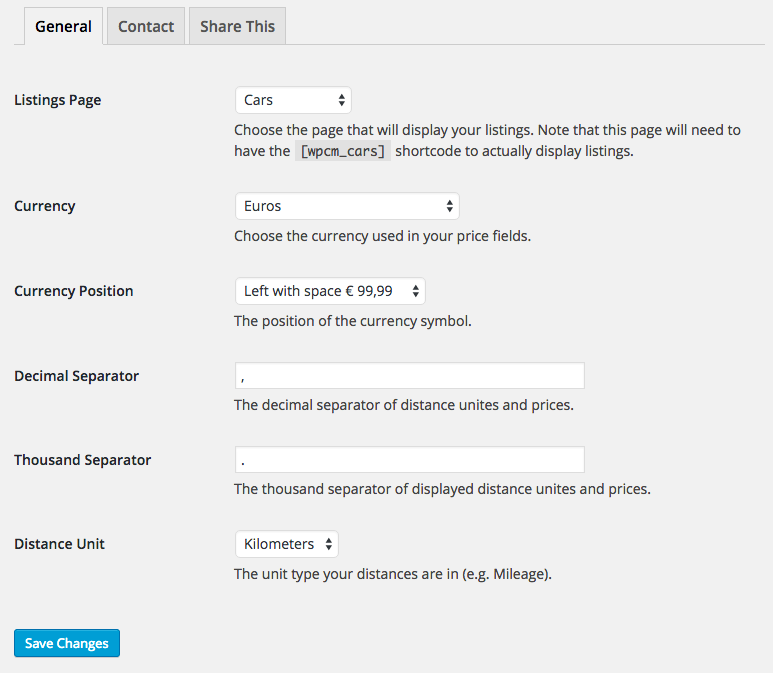 At the settings page you can set all unit types used by the plugin. You can find the settings page as a submenu item of Car Manager. Enter plain data in the car data fields. If a car has 12,000 mileage, enter 12000. The plugin will format your data based on your settings.